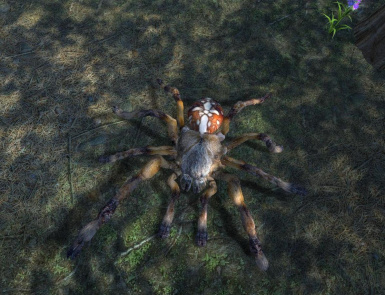 This modder\'s resource contains a new spider that has two attack styles and can cast spells. 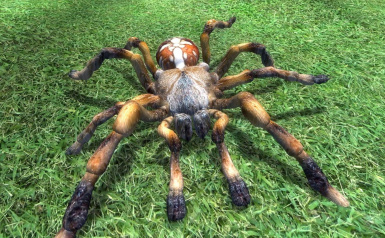 There are several mesh and texture variations of the spider. This is only a resource, no esp. 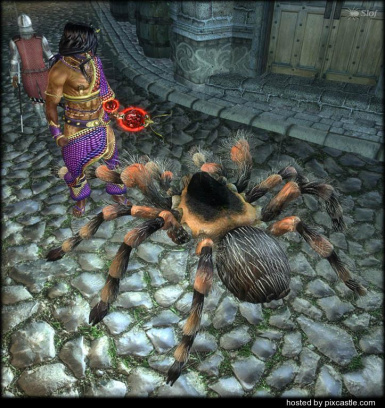 The spider has two attack styles and the spider could cast spells. If you want this. 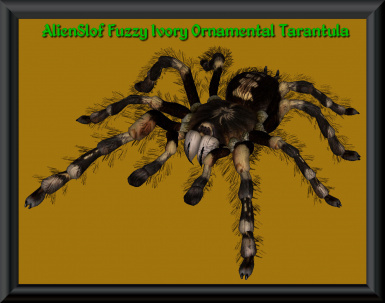 There are now 11 texture and 4 mesh variations of the spider. See screenshots for details. 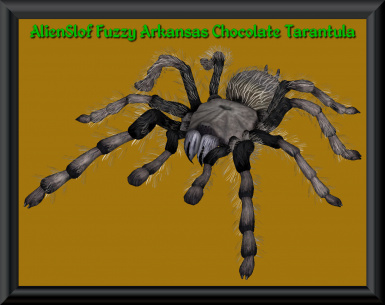 1.2, 2008/08/05 - More spiders and some file structure changes. - Renamed NIF and DDS files to ensure easy identification for credit purposes. - Added non-fuzzy versions of a few above but all of them could be done this way. 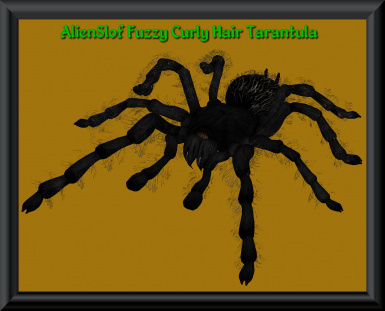 1.1, 2008/07/30 - Added the hairy spider by mikal33. 1.0, 2008/07/12 - Initial release. 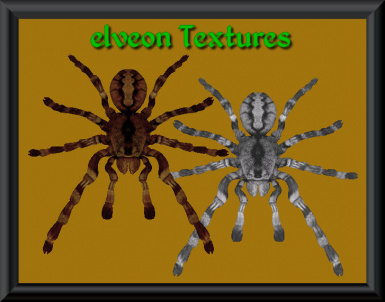 elveon - Initial Spider model and textures (elveonSpiderBrown, elveonSpiderWhite). You could use this creature for your mods, but please give credit where it is due.